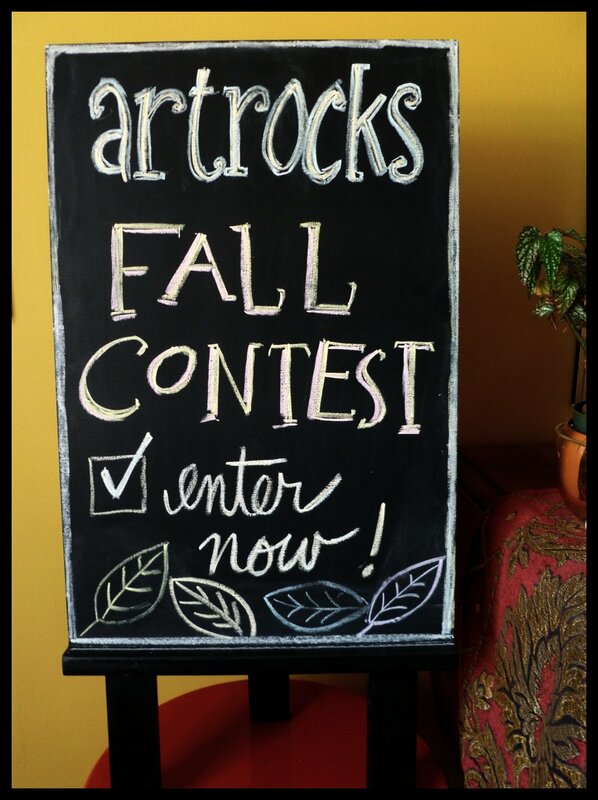 It's fall again, and you know what that means - another ArtRocks exclusive contest! If you're reading this, it means you're ready to win some art! 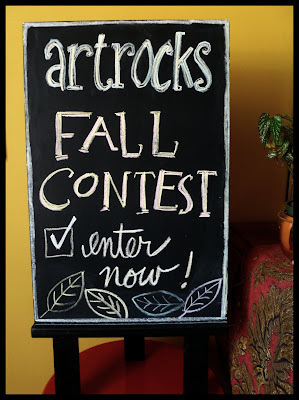 It's simple - all you have to do is leave a comment on this blog or on the ArtRocks Facebook page (which is being launched this week!) between right now and November 8th to enter. 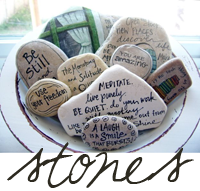 Then one of the shiny new Inspired Stones pictured below could be sitting in YOUR HOUSE! Which one, you ask? It's YOUR CHOICE! Oh yeah, and the comment should include your name and e-mail address so I know who to contact if you're picked. The winner will be announced on November 10th's Inspire Me Wednesday post. Love the new website, you rock! Fabulous website! Your art is a reflection of you - beautiful and inspirational. Love your new lines. 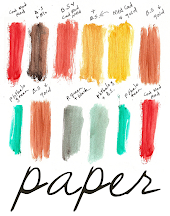 Rocks, paper....what's next? Scissors? (haha! )You rock, girl! Hi Karen, I love your art. 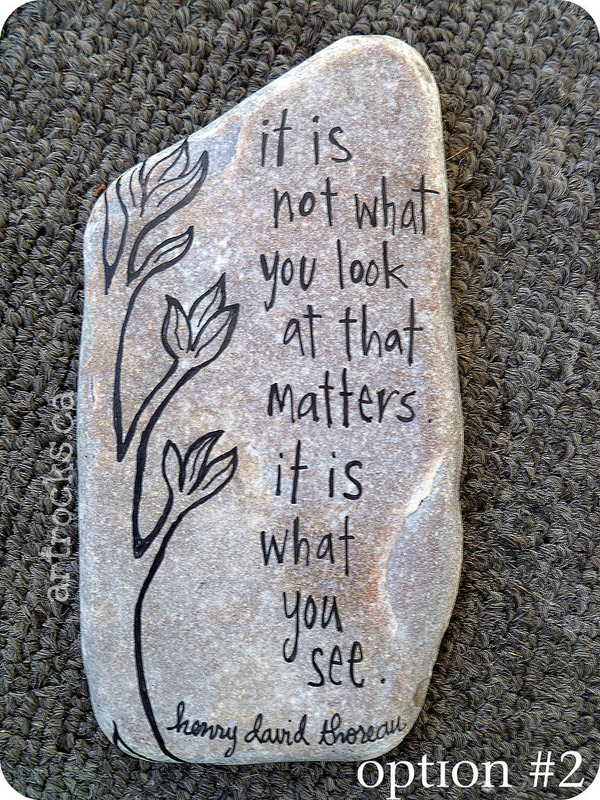 I have a collection of your rocks in my living room and enjoy looking at them. Look forward to seeing you at one of the craft sales, probably at Springs. I have "What am I doing? Nothing. I am letting life rain upon me" on the windowsill over my kitchen sink. Best rock ever. Wednesday is going to be my favorite day of the week now! 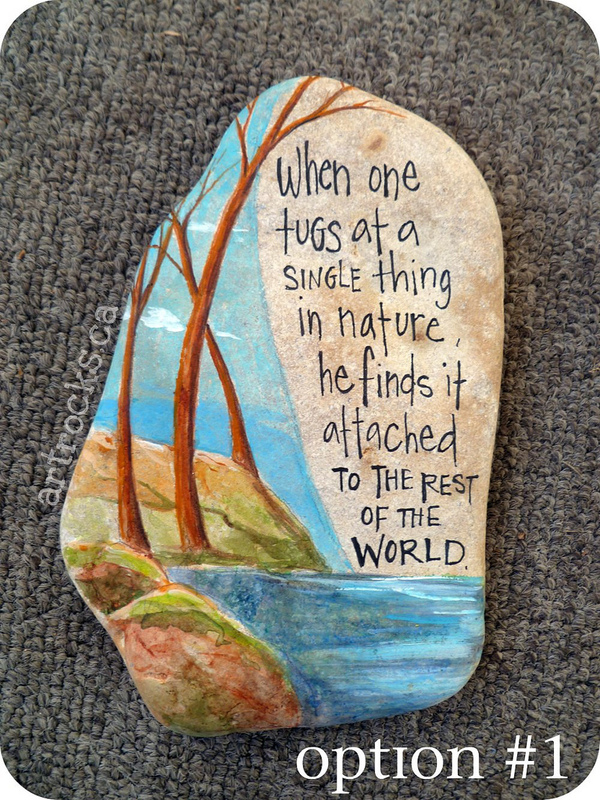 Love your rocks! They are so beautiful, and they inspire me! I have one of them in my locker! Hi Karen! I got one of your rocks for Christmas and it is FABULOUS! Thank you for being an amazing person as well as a fabulous artist. It is really inspiring for me, being an artist myself. Your website looks wonderful!!! 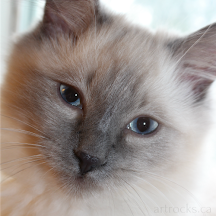 I love your photography & the blog & your adorable cat!!! We just got a new kitten also. I will miss you at Scattered Seeds this year but I often go to Signatures too. I wish you all the best with your online sales. You are so talented & inspiring!!! I love your rocks. Still haven't seen any new elephant rocks. Hope I win the contest, I'm one of your biggest "Rock Star Fans"!! I do so adore your work and all the thought you put into each and every one of your creations. A wonderful reminder that sometimes it's the simplest things that can have a powerful impact...like your adorable creamer collection! On so many levels, you so totally rock! Sorry to hear that you won't be at Scattered Seeds this fall. I'll miss our 'chat'! 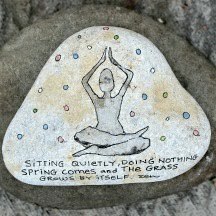 Have you given any more thought to holding a class of rock work?? Sign me up! I admire the 'passion' in your work. Gosh this new technology is challenging me. This is my second attempt at leaving a comment but here it is....I love the new website/blog. I just came from working a 6 hour shift at Scattered Seeds and you were missed! Even my 11 year old asked where is the lady who sells the beautiful rocks. Continued success. YOu are very talented. And I love both of the options so much that if I win, I think you'll have to surprise me. And good job on having a facebook page. 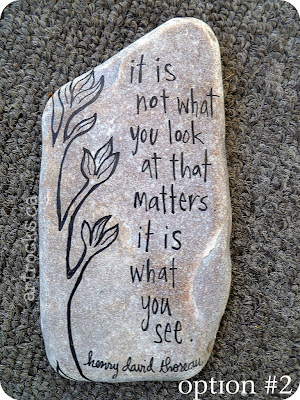 Your artrocks continue to amaze and inspire me! I LOVE the new art that I see and cannot wait to own more of your pieces PLUS give them as Christmas gifts! 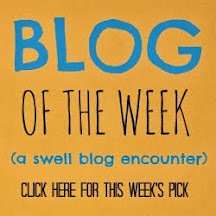 I also love your blog space - so beautiful! Thank you for shining your bright and beautiful light.